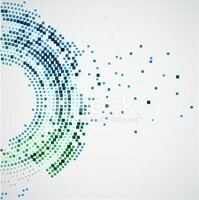 Abstract communication technology light design background. Rainbow vector background with watercolor texture. 3d blocks structure background. Vector illustration.